We have two little boys and used fertility meds to conceive. We were shocked when what I thought was the flu was I had become pregnant on my very own! Even more shocking than that was finding out we were having twins! A's sac is not as big as it appears. It is the angle on the u/s. We do not yet know if they are idetical or fraternal. 50/50 at this point. 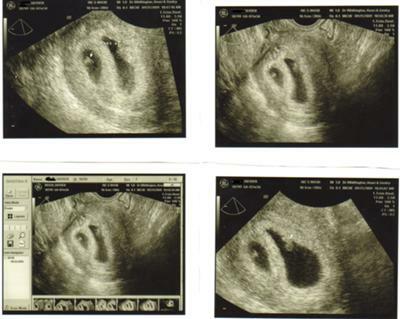 I too am pregnant with fraternal twins.... One of my babies may not make it..... How was it for you? You can not tell by the sacs if twins are identical or fraternal. They do not have to share the same sac to be identical. I'm pregnant now with di-do twins and there's is a chance they are identical.. Di-do just mean two sacs. When we go in for the gender scan if one is a boy and one is a girl then they are. For sure fraternal. I too did fertility treatments, IVF, and we had two embryos implanted. One did not take, but then we found that the other one not only took, but SPLIT! Because our little babies are in the same gestational sac they're going to be identical twins....crazy!!!! Your stats look great, I wish you all the best!!!!! i know these are older posts, however i would love to know the outcome of all those who had fraternal twins with different sized sacs. I am 9 weeks almost 10 weeks pregnant and one twin has a smaller sac however not that much smaller in actual size than other twin. Dr. game baby b only a 50% chance! Help! I am so worried. By the looks of your u/s pics i would say the twins are fraternal. I had my first u/s at 6weeks 3days and they knew right away they were fraternal. Because the babies are in two seperate sacs. If they are identical twins then they would be in the same sac. hope all is well for you and your twins! Hi i am glad to see that your twins are also different sizes, congrats we were totally shocked to see twins as well.